Rob Messner grew up in Morton Grove and learned to skate under the instruction of his father and Sue Varon Spector at the Skokie Skatium. He then went on to play his travel hockey for the Glenview Stars. He had many great coaches at Glenview including Stan Luberda and Ivan Stepanek. However none of Rob's coaches were more important to his development and to the coach that he has become today than Wally Kormylo. Wally Kormylo "Coach Wally" may be one of the greatest youth hockey coaches ever. As a Mite, Coach Rob played for "Coach Wally" for 2 seasons with the Glenview Stars. While Rob played for Coach Wally, the Stars Mite teams won NIHL Championships as well as a Silver Stick Championship. Rob continued to skate with Wally privately for 3 years. Coach Rob also played for and skated with another legendary "Wally", Wally Naumenko of "Wally World" fame. "Wally World" was a week long intensive power skating and conditioning clinic that was the talk of the town. Coach Naumenko also coached Rob's Illinois Selects '76 team that traveled to Canada every Summer to battle the best youth teams that Canada had to offer. Coach Rob then went on to play Varsity hockey at Loyola Academy under the eye of D.J. Lavarre. During his senior season Rob was scouted by and eventually drafted by the Toledo Cherokees of the North American Junior Hockey League. Rob went onto to play Varsity Club hockey at both the University of Colorado and Marquette University. Coach Rob returned to the game he loves 11 years ago as a coach. He has coached Mites, Squirts, Pee Wees and Batams. He also helped coach a high school showcase team. 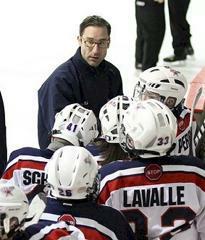 He has recently taken over the girls hockey program at his alma mater Loyola Academy and is in his first season as the head coach of the Girls Varsity hockey team. He works with all levels of athlete, from the developmental beginner to the elite AAA player. Coach Rob truly believes that for further development in the game of hockey, the base fundamentals of skating must be there first. "It is one thing to know where to be on the ice at a specific point in a game, but it is an entirely different thing to be able to get to that spot on the ice with speed and efficiency." Coach Rob played for and skated with some of the best coaches in the area. He brings a little bit of all of those coaches onto the ice with him and into his coaching style. Coach Rob is a USA Hockey Level 5 Certified Coach. Joe Corvo played 11 seasons in the National Hockey League for the Los Angeles Kings, Ottawa Senators, Carolina Hurricanes, Washington Capitals and Boston Bruins. 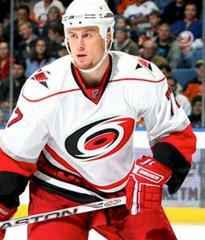 The Oak Park native finished his NHL career with 708 games played and amassed 310 points (92 goals/218 assists). Joe also competed in 50 Stanley Cup playoff contests. In one of Corvo's first major ice hockey appearances, he participated in the 1997 World Junior Championships in Switzerland. Despite placing second to Canada in the medal round, he was named the top defensemen of the tournament. He then played for three seasons at Western Michigan University, from 1995 to 1998, where he was a teammate of future NHL player Jamal Mayers. Most recently, Joe served as a Director with the Chicago Blues and has now come over to join the Bulldogs at the Bantam and Midget Levels.